Solodev is the CMS for AWS. Built from the ground up to integrate with the full stack of AWS cloud technologies, the Solodev Content Management System (CMS) empowers organizations to build, launch, and manage amazing websites and engaging digital experiences. 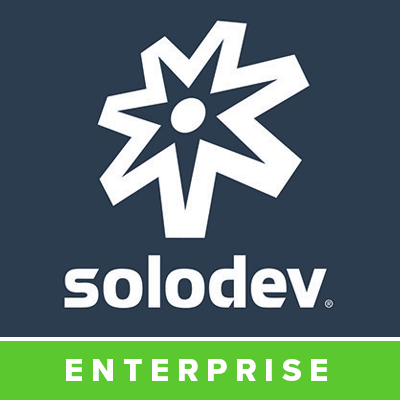 Solodev CMS Enterprise Edition for AWS OpsWorks: Warp speed ahead with a highly available, secure, and fully redundant architecture managed by AWS OpsWorks. No need to spend time and money maintaining servers and data centers - now you can quickly and easily deploy Solodev to build websites, portals and applications that can handle virtually any amount of traffic, leveraging multiple AWS geographic data centers for unmatched redundancy, security, and scalability. Solodev integrates with the most essential cloud technologies in the AWS stack, including Amazon Virtual Private Cloud (VPC), Amazon Elastic Compute Cloud (EC2), Amazon Relational Database Service (RDS), Amazon Simple Storage Service (S3), Amazon CloudWatch, Amazon CloudFront, Amazon Route 53, Amazon Web Application Firewall (WAF) and deployed by AWS CloudFormation. Bring your own license (BYOL) options are available for Solodev CMS. Call 1-800-859-7656 or email aws.marketplace@solodev.com for enterprise sales. Cloud-first, on-demand enterprise CMS designed exclusively for AWS and available on a secure, highly available, and fully redundant architecture managed by AWS OpsWorks. BYOL options available.